Will Theresa May emerge from Chequers with consensus in her cabinet? It's crunch-time, end game, breaking point, or whatever else you want to call it, for Brexit, as the cabinet heads to Chequers to try to reach agreement on the Brexit white paper. Max Liu looks at the latest odds. "May is [2.18] to leave office before Brexit, while Sportsbook is offering 2/1 on two PMs being involved in Brexit." Will Britain's future be decided at Chequers today? That's where the cabinet are meeting, at the Prime Minister's country retreat, to try to thrash out exactly what kind of Brexit deal the UK wants. It's crunch-time for May's government and the need to decide what's going to be on its Brexit white paper is more pressing than ever. With the UK [1.69] to leave the European Union by the end of next March, there is a growing sense of urgency in the government. The worrying thing is that Betfair Sportsbook is offering you evens on the UK reaching no deal with the EU by that deadline. Can May contain the rebels? 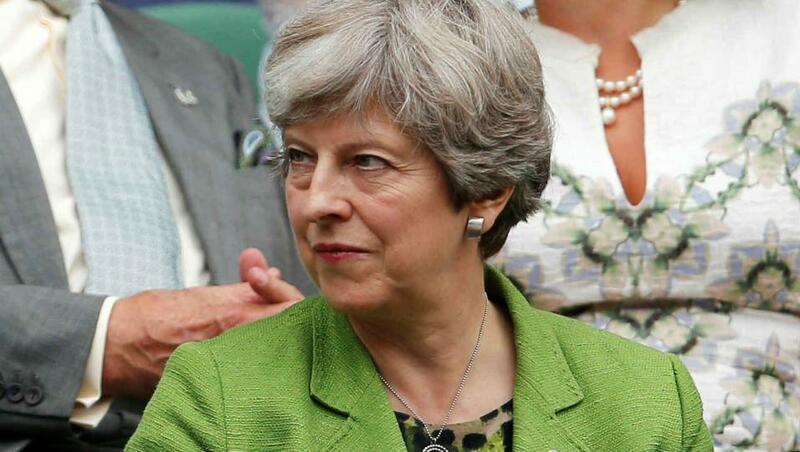 Ever since Theresa May lost her majority in last summer's general election, she has been, in the words of Michael Hestletine, "in office but not in power." Never has that been more evident then when it comes to controlling the Brexit rebels. Ahead of today's summit, seven cabinet members - Boris Johnson, Michael Gove, Penny Mordaunt, David Davis, Esther McVey, Liam Fox and Andrea Leadsom - met at the Foreign Office to discuss how they will counter what they see as May's plans for the softest Brexit possible. To see off the Brexiteers, May needs to unite the rest of the cabinet behind her. There are 25 members in all, but UK politics remains unpredictable and new alliances could be forged in the cabinet, if members think May is vulnerable. She's [2.18] to leave office before Brexit, while Sportsbook is offering 2/1 on two PMs being involved in Brexit. The PM was in bullish mood on Friday morning, ahead of the summit, as she warned Brexiteers in the cabinet that,should they resign, "their spots will be taken by a talented new generation of MPs who will sweep them away." Was this May laying down the gauntlet to the likes of Johnson and Davis, who have several times appeared to be about to resign, then pulled back from the brink. This is one of the reasons, perhaps, that Betfair's cabinet specials markets continue to see little to no activity. When will we know the outcome of Friday's summit? It could be a long evening, but most commentators say we should expect statements from those involved by around 10pm. If agreement is to be reached then much face saving will probably be involved, with civil servants ready to write and rewrite the white paper. Whatever happens, the Brexit saga still has a long way to run and it's worth noting that Sportsbook is offering 3/1 on the UK applying to rejoin the EU by 2027. Politics Betting: Germany are out of Russia 2018 but will the UK crash out of the EU?